I've seen the maps pictured below on the internet for quite some time now. It can also be seen on Indian and Afghan websites as well as YouTube videos posted by Indians and Afghans. The claim I kept reading was that it was created by someone in the American state department, an alleged 'expert' on the region. Utter nonsense! I believed it was some ignorant person from the state department at first, but seeing it circulating so much amongst the Indians and Afghans, I concluded it was fabricated by one or both of them and claimed to be American made to give their claims more credibility. But studying the maps more carefully, it is most likely Afghan made, since the maps show Kashmir as part of Afghanistan. Many Afghans on the Internet have extended their claims to the Kashmir province of Pakistan as well as the Northern Areas. As far as I know, the Indians have not approved their Afghan puppets for claiming Kashmir, since they themselves have a claim on that province, so the map is indeed most likely Afghan drawn. If it has been re-posted by some Indians on the Internet, it's most likely they have missed the Afghan extension onto Kashmir out of ignorance in their quest to promote Afghan claims on Pakistani territory. Being in Afghanistan for almost a decade, I doubt the Americans would be so ignorant to the history and reality of the region by now; especially on it's ethnic diversity. Even many speakers who come on American news networks such as CNN speak of the historic ethnic division in Afghanistan that has contributed much to the civil unrest in the country. -Afghanistan is a multi-ethnic country, more so than Pakistan and so is India. -The claim Afghans have made on the Pakistani provinces of Balochistan and Pakhtunkhwa (then known as the Northwest Frontier Province) based on ethnic lines are invalid, knowing that the Pakhtuns and Baloch are more numerous in Pakistan than Afghanistan. 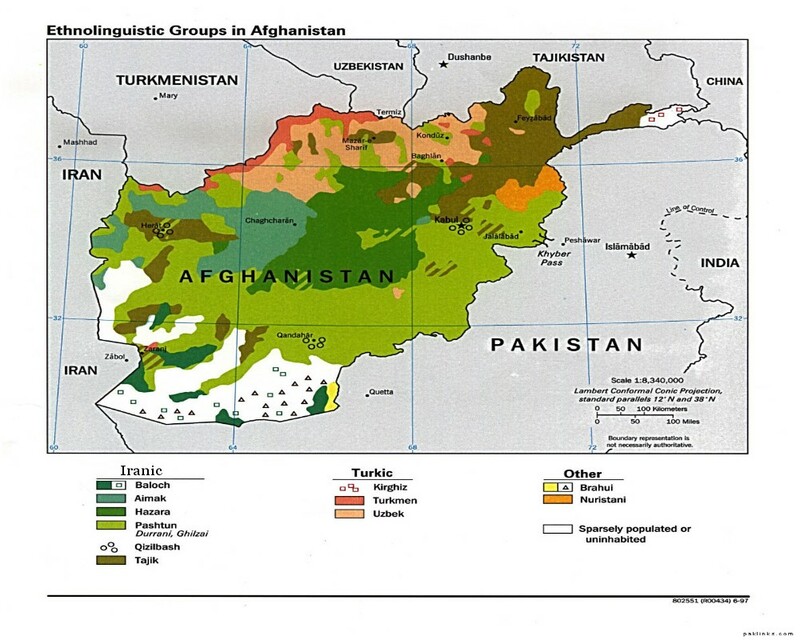 Additionally, Afghanistan's ethnic minorities such as Uzbeks, Turkmens, Tajiks are divided across a border from the mostly nation-states of Uzbekistan, Turkmenistan and Tajikistan. For Afghanistan to claim territories in a neighboring country on ethnic lines will only put it's own borders into question, also on ethnic lines. India, which has worked side by side with Afghanistan over decades in the propaganda war against Pakistan has always been a strong advocate of abolishing the Durand Line and calling for Afghanistan's takeover of Pakistan's western provinces. This is only a blow to Indian interests if both Indian and Afghan claims regarding the Durand Line are mirrored back at them. For example, there have been talks of small movements in the state of Bengal to break away from the Indian union and unite with Bangladesh. Most readers also probably know of the Khalistan movement, which is a movement for the self-determination of Sikhs in India. It soared in the 1980s. Additionally there was a movement (and still might be) in South India for the Dravidians to form their own separate state. India is possibly the most ethnically and racially diverse country on Earth. It's languages belong to different unrelated language families. People with Mongoloid, Caucasoid, Australoid and other can be found, pointing to unrelated ancestries. According to a website covering the genetic diversity in India, Indians scientists were quoted stating that India is the most genetically diverse country on Earth. 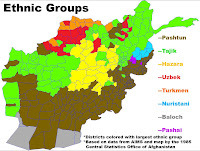 Afghanistan is also genetically diverse, containing mainly Caucasoid people and Mongoloid people such as Turkmens, Uzbeks and Hazaras. 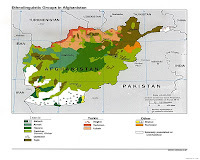 Linguistically speaking, Afghanistan's languages belong to the Indo-European and Altaic families, two unrelated language families until proven otherwise. Pakistan is diverse too, but hardly in comparison to it's neighbors. Unlike it's neighbors, almost all of Pakistan's population belong to the Indo-Iranic family. This means 99% of Pakistan's languages descend from a common proto-language and so do it's people, descending from common ancestors who spoke this proto-language(s). The only people who are distinct are the Brahui Dravidians in South Western Pakistan, the Hunza people who speak a language isolate of unknown origin, meaning their language does not belong to any established language family. The third distinct ethnic group of Pakistan are the Baltistanis who speak a Sino-Tibetian language meaning their language related to Chinese. They may also share a common ethnicity with the Han Chinese people. But genetically speaking these three mentioned peoples do not stand much distinct from the rest of the Pakistani population according to a research created by an American university. Below are videos discussing the border issues between Afghanistan and Pakistan. They do not touch much on ethnicity, but rather the Durand Line treaty, which Afghans at some time have claimed to be invalid from the start, at other times they claim it expired in 1993. Though this issue of ethnic division has been discussed several times on various Pakistani blogs and websites before, the enemies have not cut short of their lies; hence it becomes necessary to keep raising the facts to prevent the enemies from twisting them into half-truths or lies to suit their agendas. An important note to add is that though the Hazaras have been placed amongst the Iranic peoples on the maps, this classification is due to the Iranic language they today speak. Ethnically speaking, the Hazaras share common roots with the Uzbeks, Turkmens and other Turkic peoples.